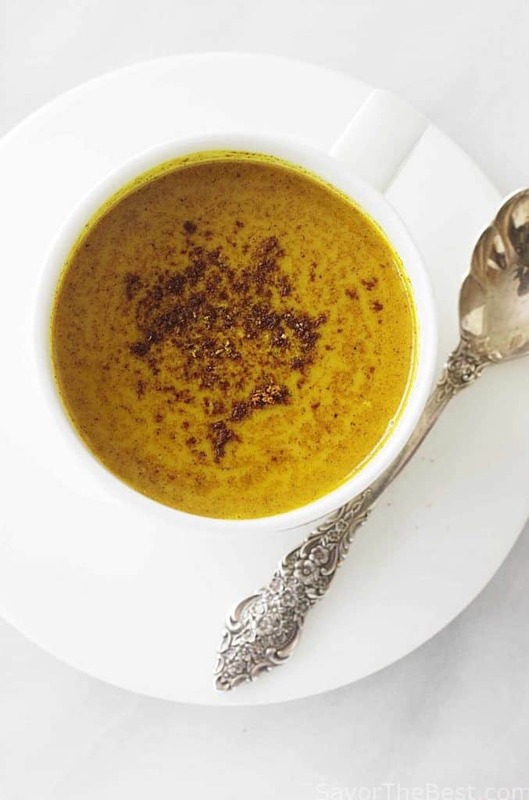 Golden turmeric milk is a calming drink with warm comforting spices. It is purported to relieve the inflammation, help you sleep and boost your immune system. 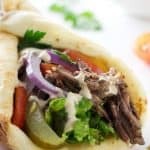 The best part is that it is drug-free, delicious and healthy. 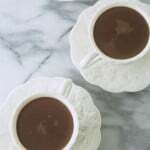 Whether it actually has all the exciting health benefits that people profess, it is definitely a comforting and soothing drink. 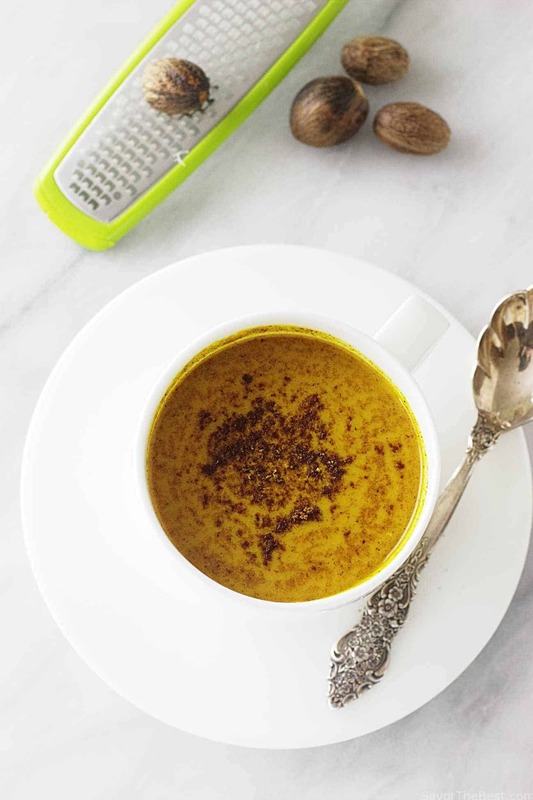 The fragrant spices and earthy flavors of this golden turmeric milk make a delicious and soothing drink. 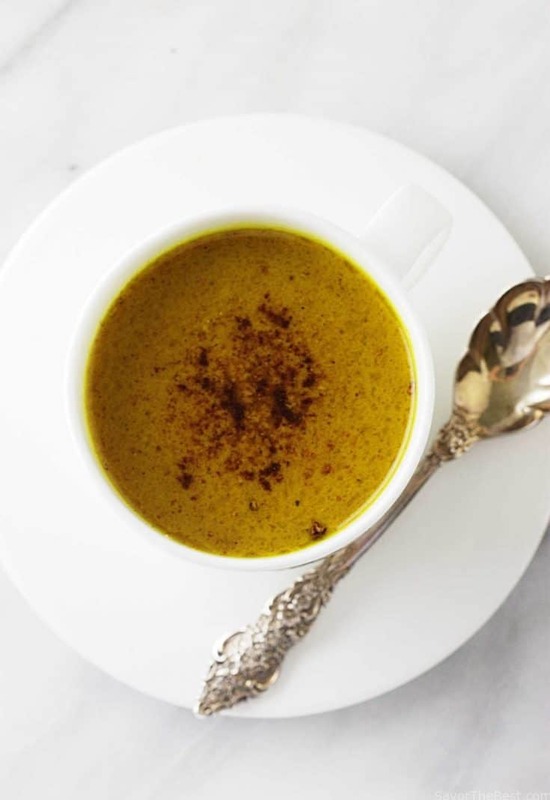 A spoonful of the turmeric paste can be stirred into a cup of hot milk, or water for a tea and enjoyed once or twice a day. I like mixing it with hot unsweetened almond milk just before bedtime. The compound, curcumin, found in turmeric is what gives the turmeric spice it’s bright yellow color. Curcumin is extracted from turmeric and used as a natural medicine. Turmeric is the most studied herb of all the herbs and curcumin is one of natures most promising disease-fighting substances. Oxidative damage leads to a toxicity of free radicals and is associated with chronic inflammation which contributes to a multitude of diseases. Although turmeric cannot do miracles, it can be a great addition to a healthy lifestyle. The powerful antioxidant properties of curcumin in the turmeric herb can not only help fight free radicals, but it can also help stimulate the body’s own natural antioxidant enzyme. Curcumin has been shown to have anti-carcinogenic properties and has been recognized by the National Cancer Institute as an agent that can be used to treat patients with cancer. Studies have shown that curcumin causes several changes on the molecular level that can inhibit cancer cells from growing. Curcumin also has antiviral, antibacterial and antiifungal properties. There is ongoing research into the possible use of curcumin as an anti-influenza agent as well as possible uses to exploit it’s anti-fungal and antibacterial properties. Turmeric has been used for centuries in traditional Ayurvedic medicine and is widely consumed as a spice in India. 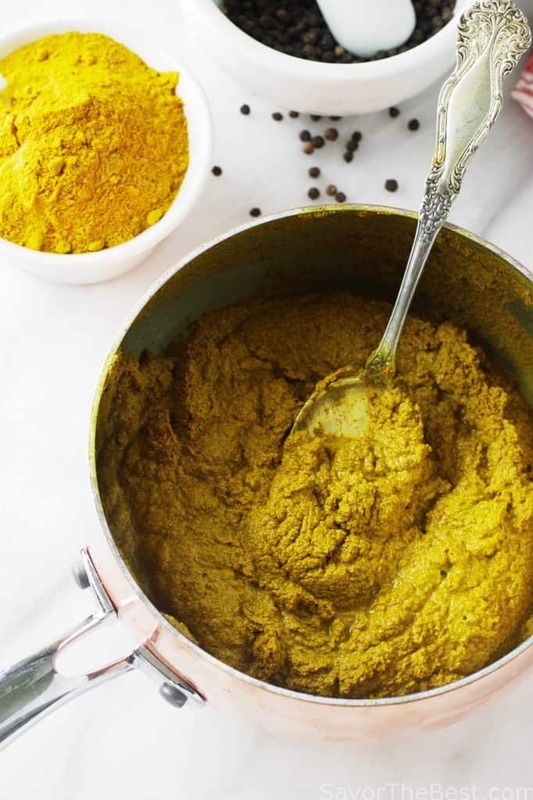 Curry is used extensively in India and turmeric is what gives curry the bright yellow color. There also seems to be a correlation between the higher consumption of turmeric and the lower incidence of Alzheimer’s disease. Yet one of the problems with turmeric, or curcumin to be more precise, is that it is poorly absorbed. Curcumin is fat soluble so it will be more readily absorbed if taken with fat. As it so happens, most of the turmeric consumed in India is prepared in a fat such as ghee or coconut milk. Additionally, piperine, a component in black pepper has been noted to increase the bioavailability of curcumin by 2000%. 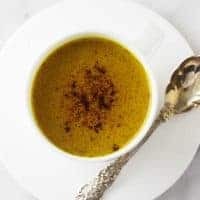 This recipe for golden turmeric milk incorporates these two important ingredients, fat and black pepper, to increase its absorption and bioavailability. 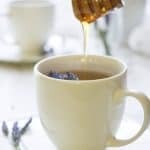 It makes an ample quantity that can be stored in the fridge so you can take a spoonful out and make a quick warm drink by heating some milk and honey in a cup and stirring in some of the turmeric paste. 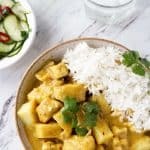 Place all the ingredients for the turmeric paste in a saucepan and cook on medium heat, stirring frequently for 5 to 7 minutes until a thick paste forms. 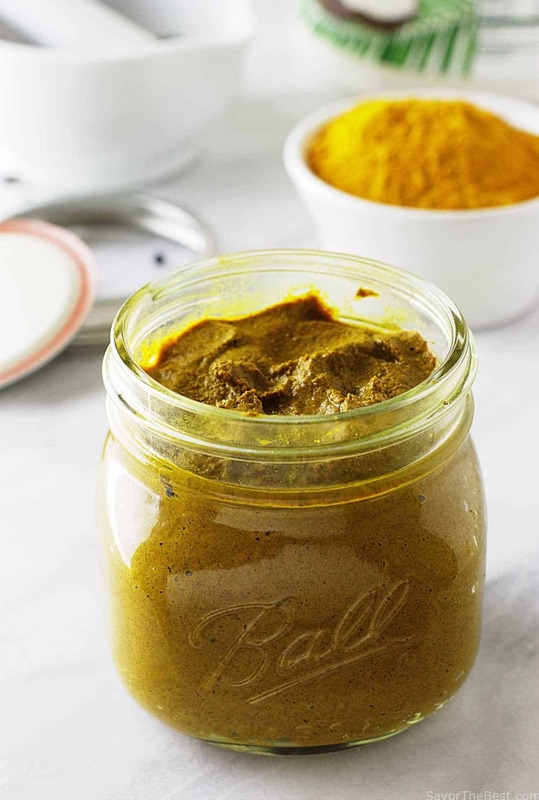 Store the turmeric paste in a glass jar with a tight lid for up to 3 weeks. Use the turmeric paste to make the Golden Milk. Heat the milk and turmeric paste in a microwave until hot. Add vanilla extract and honey to taste, gratings of whole nutmeg if desired. Store the turmeric paste in the refrigerator for up to 3 weeks. The Turmeric paste has 10 calories and 1 gram of fat per teaspoon. The calories in your turmeric milk will vary based on the type of milk you choose. I’m really looking forward to trying this recipe. 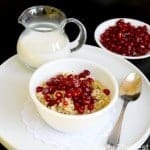 The other ingredients are also very good for you so it’s sure to have a number of health benefits. yes June, you are right all the ingredients are really healthy, I hope you enjoy it. This turmeric milk is to die for… I used 100% organic whole milk as had no other milks around. Added the honey, vanilla and nutmeg… I’m in heaven 🙂 thanks for an awesome recipe!! 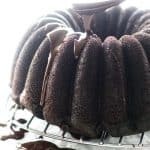 DO you refrigerate the paste? I’ve heard so much about Turmeric and how good it is for you lately. This sounds like the perfect way to give it a try. 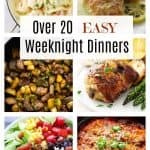 I’m sending this recipe to my mother! Maybe it will help her arthritis! I have been hearing so much of late of the virtues of turmeric and making some turmeric milk is high on my priority list. Making a jar of the paste up is a great idea for a golden milk fix easily. Yes Sara, it makes a great way to mix your turmeric milk quickly and easily. Thanks Katie, I appreciate that.